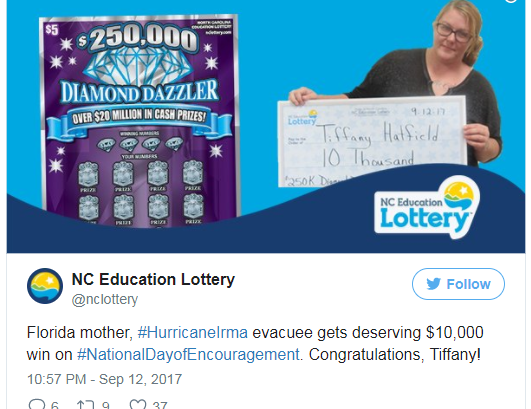 ROCKY MOUNT, N.C. — A Florida mother fleeing from Irma’s won big after a quick stop in North Carolina. 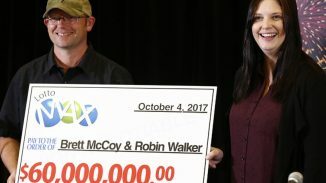 Tiffany Hatfield won $10,000 after buying a $5 scratch-off ticket at a gas station in Rocky Mount, WRAL reports. While on her way to Virginia, Hatfield, who is from Ocoee, Florida, stopped at the Circle K on Sunset Avenue and bought the ticket. Hatfield plans to use the money will help repair damage Irma caused to her home.